With an estimated $US27.02 million, “Black Panther” won the box office for a fifth-straight weekend. “Black Panther” is projected to earn $US461 million in profit after its theatrical run and all ancillaries are through. Disney/Marvel’s “Black Panther” has hit another box office milestone. It’s also the first-ever comic book movie to do it. The “Black Panther” totals are astounding: $US605.4 million domestically, over $US1.1 billion worldwide. 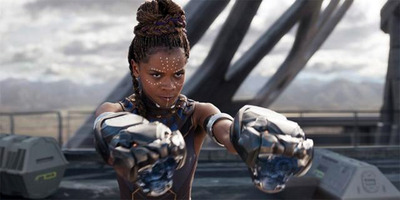 When the $US200 million-budgeted movie is through with its theatrical and ancillary run, it’s projected to have an estimated profit of a whopping $US461 million, according to Deadline. That’s more than previous Marvel hits “Avengers: Age of Ultron ($US382.3 million) and “Captain America: Civil War” ($US193.4 million). Warner Bros.‘Tomb Raider’ didn’t have enough muscle to dethrone ‘Black Panther’ at the domestic box office. “Black Panther” has done this by completely destroying Hollywood’s previous box office theories. Movies released in February have always been considered to be a dumping ground for studios’ projected poor performers: “Black Panther” proved that a hit movie can thrive in the first quarter of the year. Urban audiences are thought to not be moviegoers. Wrong. Close to 40% of the movie’s domestic box office is from African-Americans. And China, the second-largest movie market in the world, is still a guessing game for Hollywood in what will play well there and what won’t. Turns out “Black Panther” works. The movie has already earned over $US66 million there – out-grossing the “Star Wars” movies that have played there (“The Last Jedi” earned $US42.5 million in the Middle Kingdom) and on pace to be one of the top Marvel Cinematic Universe titles released in China. Now the question is: What movie will dethrone “Black Panther”? Warner Bros./MGM’s Tomb Raider” tried and failed this weekend. 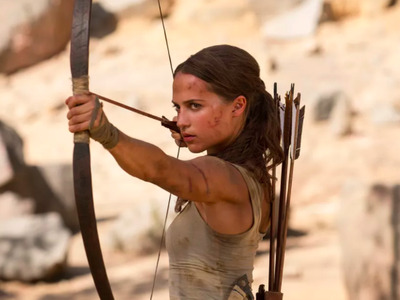 Though the Lara Croft reboot starring Alicia Vikander beat out “Black Panther” on Friday by taking in $US9 million over the $US7.5 million by “Panther,” the weekend proved to favour the box office champ. “Tomb Raider” finished in second with $US23 million.